Halfway Home will play at the Clifton Opera House on Saturday, March 9th at 7:30 p.m.
Halfway Home is a band dedicated to having a good time playing, and bringing the audience along for the ride. 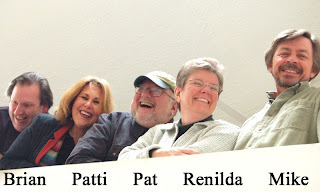 Their lively musical mix of folk and country flavored songs has been entertaining audiences since 2003. They have all performed in different bands over the years, with members having played everything from Celtic, bluegrass, traditional country, and folk, to full out rock & roll. All of these influences are evident every time Halfway Home takes the stage. 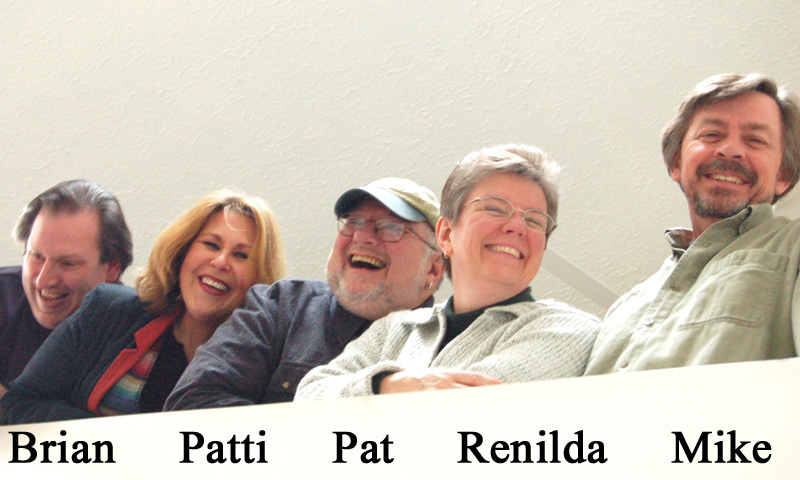 Patti, Renilda, Brian, Mike, and Pat are active in the “session” scene in Central Ohio. There is a vibrant community of musicians who meet regularly at various locations in the Columbus area for jam sessions. It was at one of these that the group members met and ultimately decided to get together as a working band. All members of Halfway Home play a variety of instruments, including acoustic and electric guitars, mandolins, electric bass, percussion, accordion, bouzouki, banjo, and resonator guitar. Everyone in the group sings—and fortunately for everyone, nobody dances. Clifton Opera House, is located at 5 So Clay Street, Clifton. Box office opens at 6:30pm. We have handicap access. Suggested door donation $7.00. Info: 767-234.